Exotic plants and animals that are introduced into the local environment, either purposefully or accidentally, pose a serious threat to our estuary’s living resources. Freed from the natural system of checks and balances in their native habitat, some exotic organisms thrive, and are able to reproduce explosively. They then invade their new environment, and their unchecked growth can cause significant problems for local creatures and habitats. The Barataria-Terrebonne Estuary is a rich ecological system. It has a mild climate and abundant rainfall, giving many exotics a greater chance to thrive and become invasive. The nutria (Myocaster coypus) is an invasive rodent from South America originally introduced to support the fur industry. Common and giant salvinia are two floating invaders capable of completely covering a pond or lake in a very short time. Exotic aquatic plants can be a particular problem for the Barataria-Terrebonne system. Dozens of exotic plant species are already established in the Barataria-Terrebonne system. These exotics can impede water flow, block navigation, and clog structures such as drinking water intakes. Floating or submerged invasive plants can change the vegetation community structure and species composition in a body of water by impacting food availability, sunlight penetration, dissolved oxygen, and other aspects of water quality. Exotic aquatic plants are not the only invasives posing a threat to the Barataria-Terrebonne system. Introduced animals such as the nutria (Myocaster coypus) are also causing major problems to the environment. The nutria is a voracious herbivore that destroys trees and consumes marsh plants, often all the way down to the roots. This exposes soil to erosion and accelerates land loss. 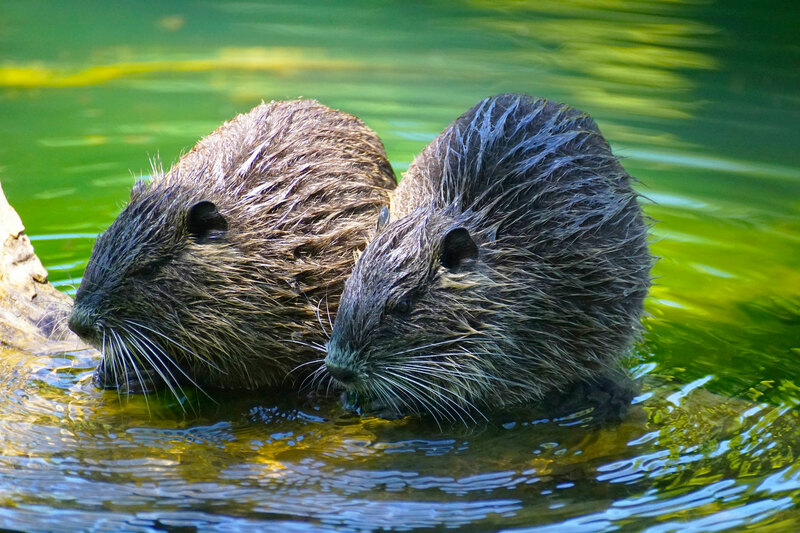 Nutria populations were once held in check by trappers who sold their fur pelts. But the collapse of the fur industry has led to an explosive increase in their numbers, and a corresponding increase in the rate of coastal land loss. 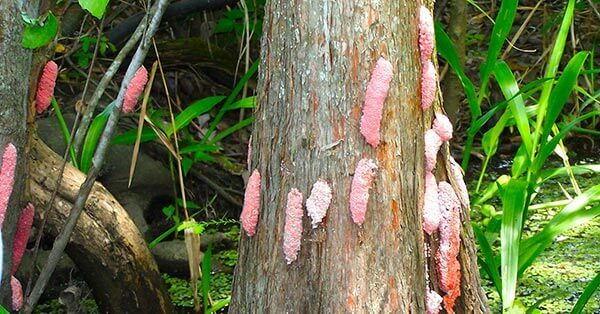 Once established, it is nearly impossible to eradicate invasive species. Scientists and officials have developed management techniques to keep the ecological damage from invasives to a minimum. These techniques include physical removal of the organisms, control with herbicides or other chemicals, introduction of specific biological agents, and legislation to control the sale and spread of potentially invasive organisms. Only through awareness and vigilance can we respond rapidly enough to prevent future invasions. 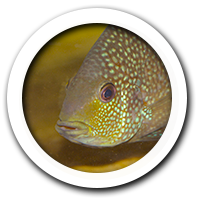 Discover what our Invasive Species Program has been up to!